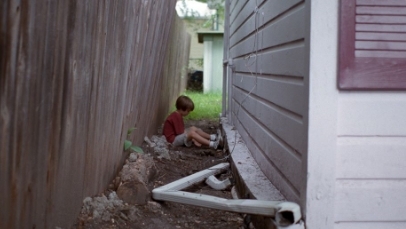 Breaking new territory and producing a masterpiece in the process, writer-director Richard Linklater brings us Boyhood, an exceptional, years-in-the-making coming-of-age drama that charts the evolution of Mason (Ellar Coltrane) as he weathers the storm of life and matures from boyhood to manhood. Fluid and constantly absorbing, Boyhood flashes by in a haze of nostalgia and familiarity, unfolding as anyone’s life would – in the moment and contrivance-free. As well as Mason’s experiences, Linklater incorporates the lives and influences of those around him, from his divorced parents (played superbly by Patricia Arquette and Ethan Hawke) to his sister, Samantha (Lorelei Linklater). It’s a film as unique and emotionally raw as they come, with the passage of time suggested through cultural changes rather than annoying on screen signposts. The performances across the board are terrific and, combined with Linklater’s laid-back, photographic directorial style, aid in encouraging an honest, perceptive and sympathetic tone. Boyhood is, quite simply put, a remarkable achievement from all involved – a distinguished film that candidly captures the beauty and hardships of life. My top film of the year. Nice review.